Wonderful walking trails through the spectacular rock formations of the Atacama Desert, and the enchanting landscape of El Norte. The far north of Argentina is my idea of trekking heaven - amazing, truly colourful mountain scenery , warm friendly people and delicious wine! I was blown away by the beauty and variety of the Atacama Desert, its canyons, wildlife and plants. It really was not what I expected when I thought 'desert'. This fabulous trip will introduce you to two totally distinctive and contasting regions of South America, the amazing Atacama Desert in Chile, a high altitude desert plateau and the driest place in the world, and the El Norte region of Argentina, an area of extraordinary landscapes of hidden valleys, spectacular gorges and glittering salt flats. You will have opportunities for some fantastic walking in both these regions. You begin your trip in Santiago in Chile and what better way to start your holiday than with a visit to the famous Chilean wineries of the Maipo Valley. Then flying north, you arrive in the somewhat drier environs of San Pedro de Atacama, one of the oldest and driest places on earth. The Atacama landscape is characterised by high altitude desert, volcanoes, salt lakes, lagoons, hot springs, strange rock formations and sand dunes. Famous natural landmarks include Licancabur Volcano, Valle de la Luna, the Tatio Geysers and the Atacama Salt Flat. Atacama also has a fascinating indigenous culture and pre-Columbian arcaeological relics which have been perfectly preserved by the dryness and minerals. During your visit to the desert you will encounter some fantastic walking, exploring beautiful canyons and altiplano with far reaching views of snow-capped volcanoes. You will pass through Rainbow Valley to Yerbas Buenas with its famous prehistoric rock carvings, make a visit to the third largest geyser site in the world, and learn about the surprising variety of flora and fauna that is found in this region. The brilliantly clear skies makes Atacama a famous place for star gazing and you will enjoy a guided astronomical tour of one of the observatories near San Pedro. The low moisture content and lack of light pollution make this one of the best places in the world to view the night skies. For the second half of your holiday you head across the border to the El Norte region of Argentina. The landscape here is truly extraordinary and you will explore hidden valleys, wind-sculpted canyons, glittering white salt flats and vivid striped gorges which resemble something out of a Hollywood western. You will enjoy walks trhough the spectacular scenery, have the chance to sample some superb wines in the region’s celebrated wineries, share lunch with a local family and attend a traditional ‘Pena Folklorica’ on your last night in El Norte. All the while discovering the traditions, culture and history of this absorbing region. Your holiday concludes in the fabulous, cosmopolitan city of Buenos Aires with its engagin Latin spirit and cultural elegance. Meal arrangements: 12 breakfasts, 11 lunches and 6 dinners are included (lunches may be a packed lunch or taken in a local restaurant/cafe). Fly to Santiago. Group transfer from airport. Winery tour in the Maipo Valley. Fly to Calama in the Atacama region. Hike in Moon Valley. Walk in Rainbow Valley and to Yerbas Buenas. Visit the Atacama Salt Flats. Evening astronomy tour. Walks at Taito Geysers, Copa Coya, Tulor Dunes and Vilama Gorge. Drive to Susques and continue to Purmarmarca, Argentina. Walk at Salinas Grande Salt Flats en route. Walk through Los Colorados. Drive to Salta. Drive to cafayate through the Quebrada de las Conchas. Hike on the way to el Paso. Visit winery. Drive to Cachi and visit the Colomé winery and James Turrell Museum. Walk in the Cachi Adentro Valley. Drive to Salta. Fly to Buenos Aires. City walking tour. Evening tango show and dinner. Group transfer to airport. Fly overnight to London. 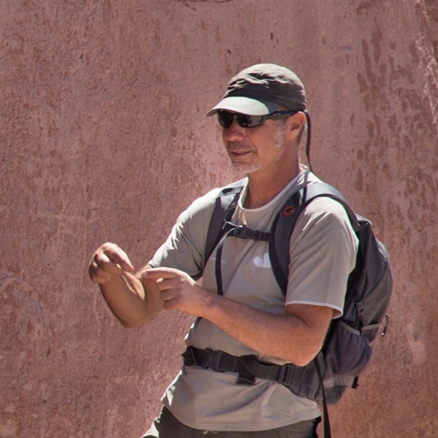 You will have local guides for both the Atacama Desert in Chile and for Northern Argentina. They will be experienced, qualified guides who live in the area and who have expert knowledge of the walking trails, the geology of the areas you are visiting, the local history and flora and fauna. Fly overnight from London to Santiago in Chile. Day 2 - Arrive Santiago, 520m/1,706ft. Transfer to Maipo Valley for tour of wine estate. Return to Santiago. You will land at Santiago airport early in the morning and be met by your guide once through immigration. Your luggage will be taken directly to your hotel whilst you enjoy an excursion into the famous Chilean wineries of the Maipo Valley. The best way to explore the renowned Santa Rita winery is by bike, learning about its history and wine making practices, and of course sampling some of the wines! Lunch will be taken in a local restaurant during your tour. Returning to your transport you will be transferred to your hotel in Santiago in time for dinner. Day 3 - Fly to Calama and drive to San Pedro 2,400m/7,874ft. Kari Canyon walk - approximately 2 hours. Upon arrival at Calama Airport, 2,299m/7,543ft, you are driven straight to San Pedro de Atacama, past the impressive rock formations of the Cordillera de la Sal (Salt Mountains). Once in San Pedro you check into your hotel where you can have a short rest before it's time for the first excursion amidst the vast desert ripples of Kari Canyon. You will drive 20 minutes to a viewpoint where you can look out over the majestic Cordillera de la Sal and the huge sand dunes leading to Kari Canyon. From here you will begin your moderate hike initially along a rocky plateau before dropping down a small rocky climb onto the magnificent sand dunes which you then walk along before descending into the Kari canyon. The canyon, set at 2,550 m altitude, is an old dry riverbed with beautiful rock formations, grottos and caverns. At the bottom of Kari Canyon you meet your vehicle and after a short drive you arrive at a lookout point where you will witness one of the world's most beautiful sunsets over Moon Valley, intensified by the warm colours of the sand dunes stretching out to the horizon. Day 4 - Walk the Rainbow Valley and Yerbas Buenas, 12kms, 3,100m/10,170ft. A short transfer takes you to the start of today's desert canyon walk. You start by crossing rocky, scrubby ground on a wide jeep track very rarely used by vehicles and then climb a small hill. Your efforts are rewarded by a fantastic view down into Rainbow Valley. The valley is aptly named due to the amazing colours of the eroded rocks that appear in all shades and colours, including beautiful greens, purples, browns and blues. It's a place to linger and enjoy one of the wonders of nature. From here you drive a short way past the village of Yerbas Buenas, 3,000m/9,840ft, to visit the site of some pre-Columbian ruins featuring over a thousand ancient stone carvings from the "atacameño" people. The paintings were created over the time period from the first the first lama caravaners across the Atacama desert to the Incas. Your guide will help interpret the meanings of the messages and drawings which include local animals such as llamas and flamingos. Day 5 - Walk around Menique and Miscanti Lagoons, 4,200m/13,779ft - 1-2 hours. Visit Atacama Salt Flats. Evening astronomical visit. These picture-perfect lagoons create a truly incredible landscape, and you can see the surrounding mountains reflected in the beautiful still waters as you walk down to Miscanti lagoon. This is a protected area where the rare Horned coot nests and you are only allowed to walk on the pathways. As you walk on to Miñiques you might see herds of vcuñas grazing on the clumps of yellow grass growing here, a particular favourite of these protected animals. Vicuñas are an endangered Andean camelid that are highly protected in Chile and were rescued from the verge of extinction thirty years ago. You will continue in the vehicle to Laguna Chaxa.This national reservation in the middle of the Atacama salt flat is home to beautiful Chilean, Andean and the rare James flamingos as well as many other wading birds such as avocets and plovers. The salt flat measures 100km x 50km and the ground appears in shades of grey, brown and white due to the salt crystals which have formed into twisted shapes. The salt grass growing here is the only plant which can exist in such a harsh environment. Walking from the information centre you have time to enjoy the unique landscape and beautiful bird life. On the return drive you may, if there is time, stop at Socaire, a small village with an interesting 200 year old church. Returning to San Pedro you can relax and have dinner before being taken on a guided astronomical tour at one of the local observatories to view the stars and planets through one of the impressive telescopes. The tour starts with an introduction to the night sky by an expert and you will then have the chance to gaze at the incredibly clear skies found here in the desert. Day 6 - Walk to Taito Geysers and Copa Coya, 4,500m/14,100ft - 3 hours. Today starts with a 2 hour drive to visit the celebrated Tatio Gesyers. This is the third-largest geyser site on Earth with over 80 active geysers, some of which are among the highest in the world when they erupt. By arriving just after sunrise, the vast crowds will have dispersed, the temperature will be warming up and the gesyers can be better appreciated, especially if there are blue skies emerging above. The geothermic field is truly incredible, from almost 900 meters below the ground boiling steam bursts up to 40 meters above the surface in an explosive display of nature's force. Your walk starts by heading from the geysers towards a high Andean plateau, or puna, with the same name as the trail - Copa Coya 4,500m/14,764ft. During the walk you will see some typical Andean flora and fauna such as the llareta plant, once used to fuel fires, and maybe some vizcachas, a small mammal similar to a chinchilla. Lunch will be taken along the trail with time to rest and enjoy the amazing views. After around 3 hours the walk finishes with a steep uphill climb made worthwhile by the expansive views of the Atacama dotted by small Alto Loa villages. Day 7 - Archaeological walk at Tulor dunes in the morning. Afternoon walk along the Vilama river gorge. This morning you will leave your hotel on foot, walking through the oasis of San Pedro until you reach Tulor village. The site, which has numerous circular adobe structures surrounded by a perimeter wall, was abandoned around A.D.300 when the oasis dried up and the dunes advanced. En route to this ancient village there are various archaeological artefacts which will help you understand the Atacamenian lifestyle, both past and present. There is a small museum in the village that is well worth a visit for a small fee - the money goes directly towards the village. After lunch you will return to San Pedro for a few hours before, later in the afternoon, you take a walk along the canyon of the Vilama river. Here you will be able to see the Cardon cactus famous for its outrageously slow growth. Forget about the tortoise and the hare, this cactus takes 300 years to grow just 3 meters! There is also a wealth of other plant and wildlife to observe in this area. Day 8 - Drive to Susques in Argentina, 3896m/12,782ft. Stop for lunch then drive to Purmamarca, 2,324m/7,625ft, along the Cuesta de Lipan. Short walk en route at Salinas Grande salt flats. Today you will make the long drive across the border into Argentina. Your first stop will be at the border town of Susques where you will have lunch and meet your Argentinian guide and driver. You will then continue to Purmamarca and stretch your legs on the way on a welcome short walk at Las Salinas Grandes - the Great Salt Flats. Covering an area of 6,000 sq km/2,300 sq mi, at the foot of the Cordoba Mountains, the dazzling white salt provides an incredible contrast to the blue sky if it's on a clear day. The drive from Salinas Grandes to Purmamarca follows the spectacular Cuesta de Lipan highway which winds its way through beautiful mountain scenery and past eye-catching rock formations including, near the end of the drive, the aptly named Hill of Seven Colours. Arriving at Purmamarca, which sits at an altitude of 2,324m/7,625ft, there should be time to take a short walk above the town to enjoy the sight of the sun setting on the breathtaking landscape. Day 9 - Walk from the village of Tumbaya, 2,820m/9252ft, to Purmamarca - 5 hours. Drive south to Salta through the Yunga region. A short 20 minute drive after breakfast takes you to Tumbaya for the start of today's walk. An ancient path leads past an old abandoned mine to the pass at 2,800m. From here you enter Los Colorados - a striking area of rock coloured in all shades of red which is at its most impressive and colourful in the morning light. The path through the rock eventually takes you back to Purmamarca. In total the walk is around 15km long with a height gain of 700m and takes approximately 5 hours. Lunch today will be a packed lunch. In the afternoon, you will drive south to Salta along National Road 9. This route takes you through the Yunga region - one of the most verdant and picturesque regions of Salta. Your overnight stop is in the small town of Salta at an altitude of 1,190m/3,904ft. Day 10 - Drive to Cafayate. Hike at Las Conchas Gorge, 1,800m/5,906ft. Afternoon winery visit. It's an early start today to make the drive south from Salta to the Calchaqui Valley and the village of Cafayate. The route passes from the green tobacco producing towns of the Lerma Valley and into the breathtaking Quebrada de las Conchas - a region of weird and wonderful rock formations caused by wind and water erosion over many years. The different formations have been given various names that reflect their shapes and you will stop to see El Anfiteatro (the amphitheatre) and La Garganta del Diablo (the Devil's Throat). There are also panoramic views to be enjoyed across the Quebrada from the point known as Tres Cruces, the Three Crosses. Your next stop is in La Yesera where you break your journey with a great two hour walk through a magnificent multi-hued gorge. You will enjoy a packed lunch today which may be taken during or after your walk. Afterwards, you return to your vehicle and drive to Cafayate where you will visit a celebrated winery, tour the bodega and have the option to taste the wares. If you opt for the winetasting (payable locally) be sure to try the Torrontés wine which is only produced in Argentina and for which the region is famed. At a height above sea level of 1,620m/5,249ft, Cafayate is known for the production of high altitude wines which have a higher alcohol and sugar content. Dinner will be taken tonight in a local restaurant in Cafayate. Day 11 - Drive to Cachi, 2,513m/8,304ft. Visit Colome winery and the James Turrell Museum. After breakfast you take to the road again heading north past the villages of Animana and San Carlos, also known for their wine production. En route you will pass through the Quebrada de Las Flechas, or the Gorge of Arros, famous for the arrow like shape of the towering rock fins which line the gorge. Following the course of the Calcahqui River you arrive at the colonial town of Molinos which used to be part of the Inca Trail. Though small, the town is full of history and culture and you will have a little time to stroll round its atmospheric streets. From Molinos you continue south to reach the Estancia Colomé which is a winery and also home to the James Turrell Museum. The museum is dedicated to the work of James Turrell, an American artist who is best known for his work with light and space. The estancia has an informative visitor centre and there will be time to tour the winery and enjoy lunch in its delightful restaurant. You will have the option to taste some of the wines (payable locally). After lunch you return north, passing Molinos again before entering El Camino de los Artesanos famous for its loom woven ponchos that are traditional to the region. You continue to Cachi, your final destination today, which is an attractive town with white houses, cobbled streets and a pleasant central plaza. The town is set at 2,531m/8,304ft. The rest of the day is at leisure and you may like to walk up to the town's small cemetery on top of a hill which offers great views of the surrounding area. Day 12 - Walk in the Cachi Adentro Valley - 3 hours. Scenic drive across high point at 3,348m/10,984ft to Salta, 1,190m/3,904ft. Dinner at a traditional ‘Pena Folklorica’. After breakfast you will enjoy a walk through the gorgeous green valley of Cachi Adentro. The trail crosses land rich with a variety of crops including alfalfa, paprika and corn. You will see how local farming communities work and their traditional methods of cultivation. After the walk, you will stop at a house for lunch with a local family where you will no doubt be served a delicious meal. In the afternoon you return to Salta. The road crosses the Parque Nacional Los Cardones reaching its highest point of 3,348m at Piedra del Molino; a stunning viewpoint. The road continues through the Obispo slope and the fertile Valle Encantado before entering the Quebrada de Escoipe where condors are often sighted. After the gorge you will enter the Valle de Lerma, known for its production of tobacco, and continue to Salta. This evening you have a special treat with dinner at a 'Pena Folklorica' where you can enjoy traditional live music with your meal. Day 13 - Transfer to Salta airport. Fly to Buenos Aires. Half day sightseeing tour. Evening dinner and tango show. After breakfast, you'll be transferred to Salta airport for your flight to Buenos Aires. On arrival you will be met by a city guide and taken to your hotel. You will then enjoy a tour of this fascinating city which combines European style with Latin American spirit. The tour will begin on foot, giving an introduction to the main cultural and historic sights in the city centre and San Telmo district. It will then continue by taxi or public transport (payable locally) to explore some of Buenos Aires' other key attractions and areas such as Caminito and Boca. The tour will last around 4 hours after which you return to your hotel. Your holiday concludes in style this evening with a dinner and tango show. Day 14 - Transfer to International airport for flight to London. Depending on your flight time today, there may be time for some last minute shopping or sightseeing in Buenos Aires. There will be a single timed group transfer to the airport in good time for your overnight flight back to London. This was our 4th trip with MK, I think that speaks for itself. It is great to know you're going to have excellent guides in the country and decent, or even great, hotel, food and transport! Absolutely stunning scenery throughout - a very varied and well paced trip - mountains, deserts, canyons, lakes, wildlife and some amazing archaeological sites. The local guides were very knowledgeable - informative about both environment and history - able to take us to some quiet and more remote areas. There were numerous occasions to sample the local wines (Bodega Nanni in Cafayate particularly stands out) - Well organised with comfortable hotels and some great walks. Definitely a bucket list trip. Visit one of nature’s most awe-inspiring sights on a 2 or 3 night extension to Iguazú Falls. Fly from Buenos Aires to Puerto Iguazú and visit both the Argentine and Brazilian sides of the Iguazú National Park in the company of an expert guide. Walk along the park’s many trails that wind through rainforest, and feel the raw power of the falls from numerous viewing points. The extension includes accommodation in a good quality hotel in Puerto Iguazú, domestic flights and all airport transfers.